The Precision Conservation Management (PCM) program is a farmer-led effort for engaging farmers in sustainability assessments and conservation planning, tying the assessments to an economic analysis, and then connecting farmers to the technical support needed to implement the practices that work best for their unique farming enterprise. 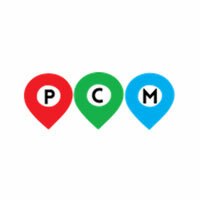 The PCM platform is designed to capture and analyze agronomic and conservation information on a field-by-field basis. Multiple tools are used as part of the analysis, including the Fieldprint Calculator, Agsolver’s Profit Zone Manager and Agren’s Soil Loss Calculator. The results are compiled into a comprehensive, sustainability focused, Resource Analysis and Assessment Plan (RAAP) that helps provide direction to the farmer in changing production systems but also brings in an economic analysis of practices on a field and farm scale, which can help determine the risks to benefit ratio. A PCM Specialists works closely with the farmer to share results and connects farmers with a wide variety of technical support and local incentive opportunities, including NRCS cost share (RCPP). The mission of the PCM program is to increase adoption of voluntary conservation practices by commodity crop farmers and animal producers in the Mississippi River Basin. This program is part of a multi-state RCPP led by Illinois Corn in partnership with the University of Illinois, Farm Business Farm Management, and Heartland Science and Technology with support from MRCC, EDF, Walton Family Foundation, Illinois Soybean Association, Illinois Farm Bureau, Kentucky Corn, Agren, Agsolver and others. It is currently available in 12 counties in Illinois and 10 counties in Kentucky. Participating farmers will also be encouraged to enroll in ISAP’s complimentary programs - the 5-year Transition Program and S.T.A.R. Farmer Certification Program.